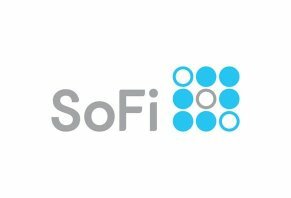 SoFi Reviews - The Right Lender for You? SoFi is a multi-faceted financial company who is most well-known for their student loan refinancing. The company has led the charge for non-bank lenders, which means the company isn’t a bank and, in most cases, can provide loans more quickly than what you’d get from your bank or credit union. Their website claims to take a community-focused, transparent approach to lending. SoFi’s CEO is Anthony Noto, whose prestigious resume includes COO and CFO roles at Twitter as well as a stint as the co-head of Goldman Sachs’ TMT Investment Group. The CFO is Michelle Gill, an Ivy League grad who worked at TPG Sixth Street Partners and Goldman Sachs before joining SoFi. Is SoFi the right choice for you? To answer that question, we’ve researched the types of loans that the company offers and the fees that you can expect when you use SoFi. The results of that research are what we’ll cover in this review. Once we walk you through what you can expect with this company, we’ll compare SoFi’s rates to another similar lender and then wrap up with a section on the lender’s general strengths and weaknesses. Ever legit lender you encounter will require you to fill out an application that includes information about where you live, how much money you make and access to your credit history to figure out what your track record is with other lenders. SoFi is no different. You’ll need to provide all of that information when you apply for the seven different main categories of loans they offer. During the application process, SoFi will perform what’s known as a “soft credit check,” which means that, during the preliminary stages of your application, SoFi’s inquiry into your credit history won’t hurt your credit score. At the end of your preliminary application, you’ll get a quote for the terms of your loan, including your APR, monthly payments and the length of your loan. If you accept the terms that SoFi presents, then you’ll complete your application and, at that point, SoFi will do a hard credit check and review your complete credit history. This will result in, most likely, a 1-2 point drop in your credit scores. Who Can Apply for SoFi Student Loan Refinancing? If you choose to apply for student loan refinancing through SoFi, you’ll need to meet certain criteria in order to qualify as a borrower (in addition to an analysis of your credit history, income, existing debt, etc.). Also, you have to have an undergrad or graduate degree from a Title IV school (a school for which you can get federal student loans). Basically, SoFi puts these requirements in place to ensure that you are able to handle your monthly payments. They don’t want you to fall behind and get yourself caught up in financial troubles. Their goal is to help you pay off your loans, not put you into further financial distress. And, for the most part, nearly all lenders want to make sure you have the capacity to pay back your loans on a monthly basis and in the long-term. The easier you can make it for them, the better for the both of you. So, whether you’re refinancing your student loans or getting a mortgage, private loan or student loan, the goal is the same: finding reliable borrowers who have a high percentage of paying SoFi back. Now, from your perspective, your goal is, most likely, to reduce your monthly payments or to save money over the life of your student loan. Whether or not those two things happen has a lot to do with your credit profile, existing debt and your income. SoFi’s lowest interest rates and biggest savings go to those who have high credit scores and high income. These types of borrowers have the track record and financial resources to pay their loans off quickly, which saves them money. The longer a loan repayment period is, the more interest you’ll pay. The shorter the repayment period, the lower your interest total will be, in most cases (more on that later). Each one of these loans has their own requirements and their own fine print, which you’ll need to review as you apply for them. Mortgages and mortgage refinancing is, of course, much more intensive than student loan refinancing or student loans. As for student loan refinancing, it’s important to be certain of two things: the average interest rate of your federal and private loans as well as how much you’ll pay in interest over time if you continue with the repayment program you’re on. If the loan that SoFi provides has a higher interest rate than what you currently have, it may not benefit you to refinance with them. On the other hand, if you have really good income and credit scores above 750, you have a chance of getting SoFi’s best rates and those rates may save you money over the life of your loan. However, if your credit scores are in the mid- to low-600’s, then there’s a chance you may not get a better rate from SoFi. The final thing to keep in mind is that student loans consolidated with the federal government make you eligible for various repayment programs like the income-based repayment plan, which calibrates on a yearly basis your monthly payments to your income. For student-loan borrowers, the key here is to know that refinancing your loans, as SoFi points out, make you ineligible for government programs that reduce your monthly payments: the income-based repayment plan is a good example of this. The company’s student loans are considered private loans and you’ll have to compare what they offer with what the federal government offers to find out which lender gives you (or your parents) the best deal. According to their website, SoFi’s student loan fixed-rate repayment periods range from five to 20 years with interest rates from 3.250% to 7.125%. The shorter your repayment period, the lower your interest rate will be. The site also offers variable-rate loans whose repayment periods are the same as fixed rate loans. The interest rates range from 2.560% to 7.400%. These interest rates are tied to the prime rate, which is a baseline interest rate that usually rises when the economy is good and falls when the economy is ailing. SoFi’s fine print says the rates on variable-rate loans of 5, 7, and 10 years is capped at 8.95% and the 15- and 20-year variable-rate loans at 9.95%. In addition to the loans we mentioned above, SoFi has added a few other services. Those services include wealth management, life insurance and an online savings bank. Their wealth management program is similar to robo-advisors in that SoFi will provide various investment options based on your risk tolerance and will not charge you if your balance is under $10,000. Once your balance surpasses $10,000, you’ll pay an annual fee of 0.25%. The site’s life insurance products are term-life plans provided by Protective, an insurance companies whose A.M. Best rating is A+, which means the company’s likelihood of paying out your policy in the event of your death is extremely high – it is, according to the rating agency, as reliable an insurance company as you can find. The final SoFi non-lending product is SoFi Money, an online bank that the site is promoting but, at the time of publishing, had yet to launch. One thing that makes SoFi unique among student loan refinancers is they offer complimentary career coaching for their customers. According to their site, qualified career counselors will help you with your job search, career transitions, personal branding and aspects specific to your situation. Many of the student loan refinancing sites we’ve reviewed tend to focus on student loans; very few extend to insurance, wealth management and mortgages. In that sense, SoFi offers you the advantage of using one company to service your various financial products, whether they are student loans, investments or term life insurance. However, to keep things focused, we’re going to compare SoFi’s student loan refinancing rate to those of Purefy, another student loan focused lender. SoFi’s fixed-rate refinancing repayment terms range from 5-20 years and have APR’s of between 3.25% and 7.125%, whereas Purefy’s best fixed-rate loans range from 3.50% to 7.28%. When it comes to variable-rate refinancing, SoFi’s offerings range from 5- to 20-year repayments with rates of 2.56% to 7.40%, while Purefy’s best variable rates are 3.48% - 7.26% for 5 to 15 years. Based on these facts, we believe that SoFi offers the better rates. However, good rates are relative. Which APR you get is based on your own personal financial profile. We suggest getting quotes from multiple sites so you can compare the rates and repayment terms the various companies offer you. And, remember, as you go to various sites to get rates, make sure you compare those rates and repayment lengths to what you’ve currently got with your student loan servicer or bank. In some cases, it may not be in your best interest to refinance your loans. Based on our research, we believe that SoFi offers competitive student-loan refinancing rates and, as a whole, provides you with various financial services that can be helpful to your situation, including life insurance and wealth management. We also like how they offer their customers career coaching, something we believe is an excellent perk and pertinent for a generation of college students stressed about student loan costs and want a career they enjoy and can help them meet their financial obligations. The downside of the site isn’t so much something that’s specific to SoFi as it is to all lenders. Borrowers who have average or below average income and average to below-average credit scores aren’t going to get the best rates and there may be situations in which the rates the site quotes them are worse or equal to whatever they already have. If you want to learn more about more about whether or not refinancing is the right option for you, check out guide to the pros and cons of student loan refinancing. We walk you through the things you should consider before launching into a student loan refinance. I was originally approved for 12 months (having to go thru the process every 3 months, which I find ridiculous if you are approved for 12) of forbearance after losing a job. My income is still very low, though I'm constantly trying to remedy that. After 2 approvals (for a total of 6 months) they have now denied it, even though my income and situation remain very dire. Their customer service is not at all helpful and very tedious to deal with. My income has always been very good and I had never missed a payment before being laid off. I found their attitudes towards this situation to be very demeaning and unhelpful at best. Poor communication, and the application process was an endless hoops course of requests for information, many of which were redundant. If you didn't contact them, you'd never know that they needed more doco. Co-signer was asked to provide a copy of their college diploma...what other lender would require that?! The customer service's response was fast; that's the only positive side I had seen with SoFi. Meanwhile, serious issues occur due to their representative's knowledge about financial situations. They will give you a low rate before you apply for it. Once you get in, the interest rate will go up, and they will keep requesting and asking for documents to support your application. The review system is a big mess. Your application would get reviewed by about 5 to 6 different people from their review department. Also, different people would give you different feedback regarding your application. Income: 650,000 a year with W2 proof. Do not care about their high interest rate (9.00 APR). If you cannot meet the above requirements, do not consider them. It will waste your time. They will not deny your application by keeping sending your application notification. Also, do not send negative feedback to them during application. The reason is simple: they do NOT like them, and they do NOT care. I received an offer through Credit Karma and prequalification. Wanting to better my credit and one loan payment, I applied. The application stated I could include others income if applicable, so I included my wife's income. After two weeks of processing, submitting bank account info, and income verification, a person calls me and tells me that joint application is no longer accepted and that I would have to qualify on my income only. Since I requested a large amount, I would not qualify. They wasted two weeks of my time and the only answer I could get was that the rules had changed. Be VERY CAREFUL when applying! Credit Karma ought to be ashamed to recommend their services. Don't waste your time applying! If you don't have a credit score of over 800, don't waste your time with this company. I applied for the minimum loan amount of 5,000 to consolidate (4) high-interest Capital One accounts after receiving a pre-qualified/pre-screened offer in the mail. The company strung me along for weeks asking for additional documents and proofs like utility bills, statements, and acknowledgments I had to obtain and send them. This is high-tech loan processing? I spoke to customer service over this time period, and they indicated to me that my application would have been declined after the credit report was pulled if it did not meet certain credit criteria. "Thank you for considering SoFi for a personal loan. Unfortunately, we're unable to offer you a loan at this time. Attached is a letter we are required to produce under Regulation B. This is also available from the 'View Details' link in the loan status section of your SoFi.com account. If you would like specific reasons why your application was denied, don’t hesitate to call our SoFi Credit Services Team at 855.731.5712. *By clicking the button, you will enter the Avant website. All unsecured installment loans issued through Avant are made by WebBank, member FDIC. SoFi may receive a referral fee from Avant in the event you take out a loan through Avant. The actual loan amount, term, and APR that a customer qualifies for may vary based on credit determination and state law. Minimum loan amounts vary by state. In spite of the company's marketing line ("Our unique approach to underwriting looks at where you are today and where you’re headed"), they were actually little different than a traditional lender. In some ways, they were worse, because they pretended to be better and then just screwed up the loan process. My customer service rep seemed excellent: I was pre-approved by their automated system for my home refi, but because of some complications with my loan (that I laid out right from the start), he took care to "check with his manager" before we went forward with the application. All looked good. But then SoFi didn't perform. Assured that all was good, we went ahead and ordered the appraisal (at an out of pocket cost of $800 to me). The appraisal was fine (plenty of value) but the loan was turned down by an admin mistake made by my previous lender. The correct thing for SoFi to do would have been to give me a chance to contact the lender and have them correct the error. But instead, SoFi just dropped me, after 5 weeks of wasted time and $800 out of pocket. My customer service rep was embarrassed and apologetic but could do nothing about it. The process was long and drawn out. Then they changed their rate from 5.25% to 7.25% for three years. I am not accustomed to paying any interest. I had had enough. I contacted my credit union and had the money the next day at a rate of 3.5% for five years. To be fair, my experience may have been more difficult because I do not have to work. I wouldn't recommend them. It is obvious that a lot of reviews here for SoFi are paid reviews because they all talk about the quick speed. I applied for a personal loan, which even after two weeks was still in final review. There were many things wrong with this whole process. 1. Despite having a fraud alert I never received a verification call from SoFi. In fact, their customer support team didn't even know what was a fraud alert. They kept insisting that Experian needs to verify my information and not them. 2. For ten days after the three-day period was over, I kept hearing the same status that the application was in final review. Even up to this point I had received no call for the verification. 3. One of their managers, Josh Johnson, gave me personal assurance that the loan will be processed by its 11th day and he will follow up personally. On the 12th, 13th and 14th days of my calls, he was nowhere to be found. According to the agents, he had left for home at 12 pm Central time. 4. The entire application was ridiculously slow, and I chose to withdraw it which was with drama again. Upon requesting to talk to a manager before withdrawing the application, I was rather transferred after the rep withdrew the application. The manager said they could not remove the credit inquiry though they had never honored the fraud application or their terms. Plus he said that for the fault of their own reps I had to start the application again. Well, no thank you. In this same time, we had a mortgage application put in a day after the application for the loan. It was close to a million dollars versus the 35k requested here, and it was approved before this one was. Just to share a reference of how SoFi is NOT what they claim to be. Oh and quite amazingly was when the manager who called me with a disclaimer that the call will be recorded for monitoring was fazed and said he didn't give consent to the fact that the call was being recorded on my phone. So stay away from these guys. I am sure I would have faced more problems with the loan itself. They seem like frauds and might very well be so. Go with folks more reliable than these guys. Don't waste your time with them. I was pre-approved and ready to go. I was very excited about getting that monthly payment down for my son, who is just starting out on his career, only to have the rug pulled out from under us in a 24-hour period. I went through some hard times during the recession but fought hard and pulled through. I quadrupled my income in the last six years, greatly improved my credit report, everything clean, clear, and solid for six years. I have no issues getting large lines of credit or credit cards (that I turn down every day or use and pay off monthly) and thought this was a no-brainer, but not so much. A few "lates" during the recession threw a wrench in the whole deal. I wish they were upfront and did not give us a pre-approved commitment and dangle that lower payment in our faces only to have it yanked away. I am truly discouraged and think that the initial upfront process could greatly be handled differently. It is like, "hey, look what we can do for you" and then, "oh, we change our minds, sorry, you're out of luck." I understand their high standards of lending requirements, but this is ridiculous. I guess I need to go back and do research on lenders who have reasonable lending requirements. SoFi was our first try. Ruthless company with poor customer services. I ended up defaulting on my loans due to trauma from sexual assault during my time in business school. All my federal loans were extended, but this company didn't care and ignored my extreme circumstance. My credit took a huge hit. I received the letter stating I was pre-qualified for a loan, so I decided to see if I could get more info by sharing minimal information on their website and quickly received a decline message. When I clicked on the "view details," it opened another page with "404-error" and a pop up stating "We've lost our marbles. Hang tight while we look for them." I started a chat and they asked me if I was on Google Chrome, stating that they are having some difficulty and would email me a response. I refreshed my email for 10 minutes and never received anything. I started another chat, with a different person, and they asked me to provide my info (name, DOB, last four numbers of my social security). I got nervous and insisted that I chat with the initial person, as I don't want to provide info that I didn't originally offer. I asked to speak with the first person again and got, "I don't know her schedule," and that she may not be able to chat again. Even though, supposedly, he was asking her questions for me during our chat. Sounds shady! I never got the email by the way. Write a Review for SoFi!